Israel Linda Mosehla was born in Soweto. Both his parents were preachers and musicians. The family released three albums with Gallo in the 80's. IN 1985 Israel, together with his brother Isaiah Mosehla and two friends - Bongani Matsobane and Jabu Nkabinde formed a dynamic gospel Group called G. Effect. The group released two albums produced by the legendary Sizwe Zako. BETWEEN 2003 and 2005, Israel, together with G-Effect, toured the USA, the UK and Brazil. There he had the opportunity to perform in New York, Chicago, Ohio, Dallas and London. It felt good to be a South African artist cracking it overseas. He has also toured other Countries including Zambia, Botswana, Swaziland, Lesotho, Senegal, and Zimbabwe. HIS solo album titled NZULU was released and was sizzling hot. It consists of 12 tracks, with a mixture of praise and worship songs. He worked with Sipho Big Fish Makhabane and Ringo Mkhari as co-producers and the wonderful team Musa Malinga, Mxolisi and Musa Mngwenya. ISRAEL is enjoying every minute of his solo career. He has been performing all over the Country and the demand for his music continues to grow. IN 2007 he opened his own record label/company, Kgabo Music Productions, and released the album Endaweni Ephakeme, nationally and locally. ON the 28th March 2009, Israel Mosehla recorded his live CD & DVD Praise & Worship Encounter with Israel Mosehla at the Vereeniging Civic Theatre. This was the third offering of Praise and Worship that Israel had released. PRAISE & WORSHIP ENCOUNTER WITH ISRAEL MOSEHLA was the first CD and DVD to be part marketed and distributed by REVOLVER RECORDS. 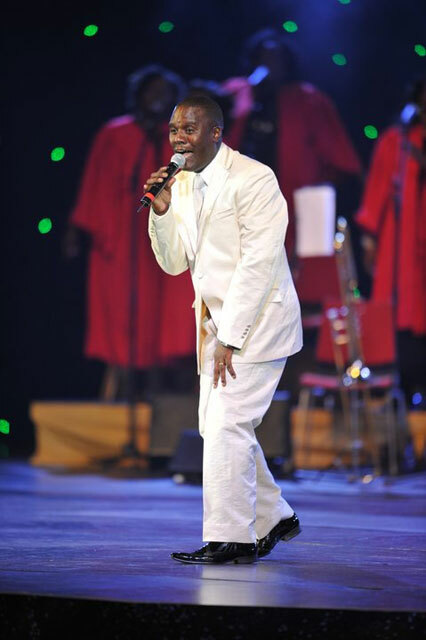 IN November 2010 Israel won the Award Best Praise Album for PRAISE & WORSHIP ENCOUNTER WITH ISRAEL MOSEHLA at the CROWN GOSPEL MUSIC AWARDS. MARCH 2011 saw the release of the CD and DVD – CROWN HIM LORD WORSHIP SESSION – LIVE AT VEREENIGING CIVIC. AND so to February 2012 announcing a new release which Israel rates as one of his finest: ISRAEL MOSEHLA LIVE – TURNING POINT. All titles are now distributed and part marketed by Revolver Records.